Marshall is a pioneer in sound technology for more than half a century, mainly for its flagship amplifiers for electric guitars, and this experience manifests in every earphone and headphone that it produces. The highlight of the best Marshall headphones is its heavy sound. Over the last several decades, its heavy sound of metal and rock ‘n’ roll has been heard world over. This company works with many musicians and bands, to get a feel of what has to go into every product. All this effort is visible in the sound clarity of its earphones and headphones that make listening a sheer joy. 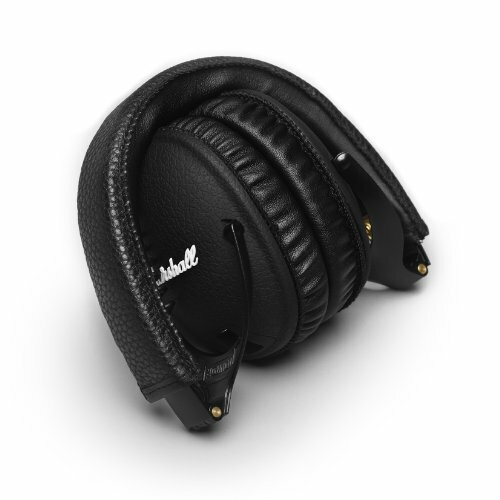 Along with its top quality sound, the best Marshall headphones are also known for their “classic rock” design. Many models have been launched by Marshall over the last half century to cater to the needs of different users. Even today it continues to experiment and innovate to come up with the perfect pair of headphones for every Marshall customer. The first thing that catches the eye is the packaging. It comes in an expensive-looking box and the earphones are attached to a pad that is slightly titled towards the users. Much effort has been put into this design, though the box will be tossed away within minutes. However, the first impression about the product is really good. Other than the packaging, another visual appeal is the cables. These cables are braided to be strong and resilient, and this is one of the high points of this product. It also comes with an in-line remote and an adaptor for those devices that do not support remotes. However, the difference is that these remotes are on the left earpiece instead of the usual right. This change of sides feels a little awkward for those who are used to right-side remotes. Furthermore, the design is standard and not comfortable to wear for long periods of time. The performance of these earphones is also not that great. Primarily, it does not provide noise isolation which means, there is constant disturbance when one is listening to music. It is particularly not ideal for those who tend to travel by public transport because the noise from fellow passengers tend to interfere with music. Despite this drawback, Marshall’s Minor scores high on audio quality. Whether it is call quality or music, the audio is crisp, clear and highly audible. Every detail from instruments is clear and the high notes are crisp. The deeper string has a lot of presence, and the balance between sounds is good. As a result, every string and note is clear and audible without anything overpowering the soundstage. In short, Marshall’s minor earphones are one of the best when it comes to sound quality. However, there are certain minor issues such as in-line remote on the left side and its inability to keep outside noise at bay. 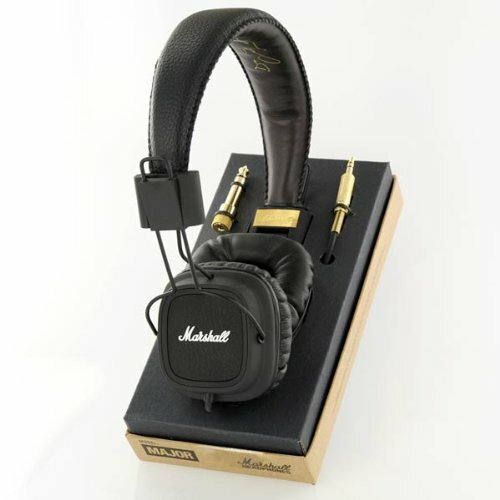 Marshall Major headphones are stylish and give a good first impression with its fine packaging. The headphones come in a single cardboard that is sealed in a box. Along with the headphones, the package also comes with a 3.5 mm to 6.25 mm converter that can plug into any Marshall amp. The design of these headphones is practical and stylish. The metal rails on the ear piece makes it easy to adjust for users, so that they can get a good fit. Moreover, the ear cups fold inwards, which makes it easy to fold down and carry. Besides being practical, the black Matt finish of these headphones are a sure head-turner. Despite these looks and practical features, the best Marshall headphones is a little tight on the scalp, thereby making it completely uncomfortable to wear after one or two hours. Also, since the earphones sit on the ears and not around it, the area around the ear lobes gets strained. In terms of performance, Marshall Major is reasonably good. The mids are fairly good, and the notes come out crisp and clear. The high notes are clear too with much detail while the low notes are a little disappointing. In fact, lows is one of its major weakness, and sometimes it is hard to hear the notes at all. The drums too do not have the boom impact, but is rather subdued. Due to these aspects, Marshall Major will not be the right choice for those who love Hip Hop. In short, Marshall Major looks great and is ideal for travel. They sound good too, except in certain areas. The fit, though, is far from comfortable. The Marshall Major FX 50 Headphones have all the trademark of Marshall’s. It was released to celebrate the 50th anniversary of this company, and is a limited edition one. Its design is truly Marshall with a rich look and fine details like a gold trim and the words “50 Years” engraved on the braid. 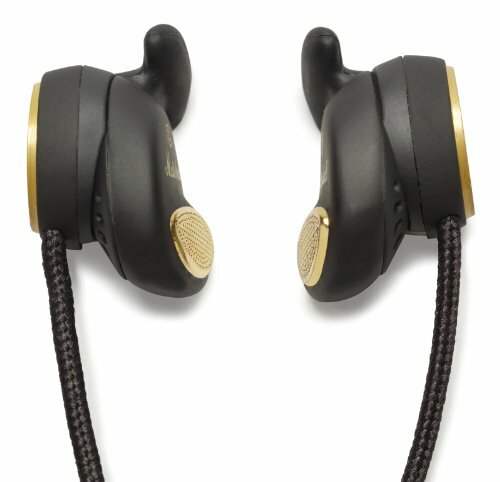 The ear cups have a square metal brace that gives a classy look to these earphones. The earphones come with a cord that has three switches – one for start/stop and the other two for increasing or decreasing the volume. The start/stop button has a gold plating to go with the overall theme. These earphones score high on not just design, but also on sound quality. The 40 mm drivers give a big bass response that sound like full-range headphones. These earphones are well-suited for rock music, which is natural given the best Marshall headphones association with this genre. The surprising part is that other genres such as classical and acoustics also sound well on this product. Noise isolation is also good as the ear cups close over the ears to keep noise away. These earphones provide good call quality on both sides, as well. In short, if users are looking for a earphone to listen to rock music, then Marshall’s FX 50 is the best choice. It is also good for classical and bass music as the sound quality is good and lively. In short, Marshall is a popular brand known for its stylish headphones. 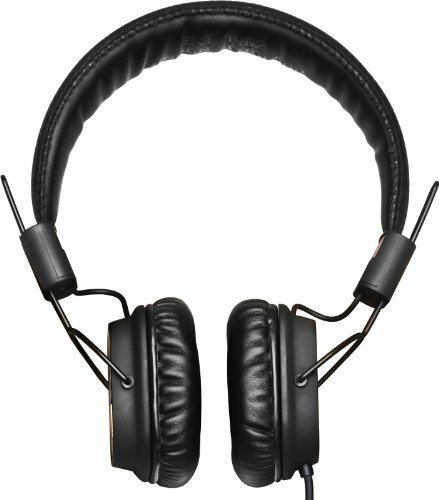 Its popular products are Major FX, Major FX 50, Minor and 0409800 Monitor Over the ear headphones. Each of these products have their own advantages and disadvantages. Some products are best-suited for listening to certain genre of music, so it is important for users to know what product is ideal for what type of music. A common quality of all these models is their stylish design, that has become a trademark of Marshall. Marshall 04090800 monitor Over-the-ear Headphones are a nice looking earphone that sounds great too. It comes in black color and has the signature of Marshall’s written in white on the back of each ear cup. The ear cups are big enough to cover the entire year, so it feels comfortable to wear this earphone even for extended periods of time. It comes with a coil of wire that contains the mic and remote, and this coil is detachable so users do not have to wear it if they simply want to listen to music. As with all the best Marshall headphones, it is lightweight and convenient to carry as it folds down into a good-looking handy pouch. In terms of performance, this product is a must-buy. Its 40 mm custom-made driver delivers powerful and dynamic music that is sure to enthrall listeners. Its 42 ohm impedance also adds to the superior quality of music that comes from it. Its deep bass, extended highs, natural sounding mids and well-balanced lows are a treat to the ears. These earphones are well-suited for all forms of music as the tones are clear and lively.